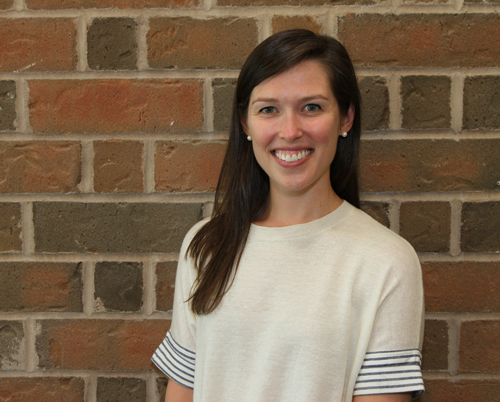 Margie Gudaitis ’07 has spent her career working in higher education fundraising, focused on a field where she can help alumni from colleges and universities create opportunities for education and increase college access through philanthropy. College access is an issue close to her heart, and she credits her alma maters for that commitment to education. Q: What have you been up to since graduating from Durham Academy? A: After graduating from DA, I headed off to Davidson College. Davidson is similar to DA in so many ways — the rigorous academics and ethos of intellectual curiosity, a commitment to lives of leadership and service, and an honor code that permeates all aspects of life on campus. Well, I loved it so much that I stuck around for an extra five years, helping fellow alumni partner philanthropically with Davidson to provide the same experience for future generations! Almost a year ago, my boyfriend took a job at the University of Kansas, so I figured it was time to take the leap and try a stint outside of North Carolina. A: I am currently living in Lawrence, Kansas, working full time at the University of Kansas Endowment Association, going to school full time to get my master’s in higher education administration, and trying to stay sane while I do it all! A: There is a significant lack of access and affordability in higher education, particularly for historically underrepresented populations. I was incredibly lucky, as were many of my peers at DA, that there was never a question that I was going to college and that my family could afford to pay for it. As higher education tuition rates continue to climb, I want to do what I can through my work in development to make college a reality for all young people. College is an important place where young people are introduced to, grow with and learn from peers who are different from them in any number of ways. This is one reason why I’m proud to see that DA has made strides over the years to create a more diverse student population. Q: What DA experiences influenced you or helped you get where you are today? A: While my Davidson experience was transformative, I would not have chosen to attend Davidson if not for the incredible experience that I had at DA. Many of my classmates were eager to leave our small high school community at the end of our senior year and experience something drastically different. There were so many things that I valued about DA that I sought out in my college search — commitment to community service, small classes, an honor code. And when I got to Davidson, I was so well-prepared. I wrote longer French essays in Madame Derfeuil’s class than I did in my first two semesters of French at Davidson! Of course, there are also the friendships that have continued in the 10 years since we graduated. And even my classmates with whom I’m not regularly in touch — it’s so much fun to see the cool things they’re doing on social media or in the DA magazine! Q: What are your interests away from work? 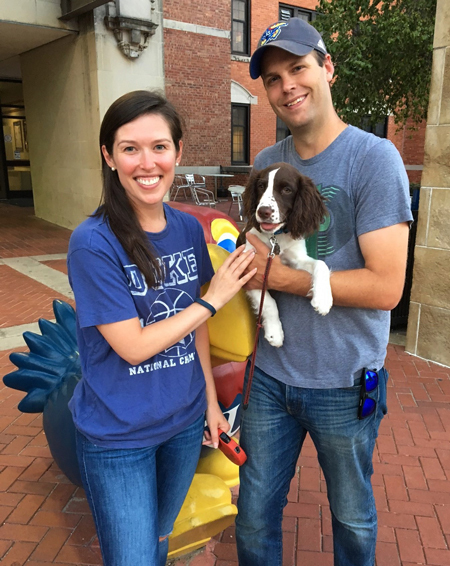 A: When I’m not studying, I can be found in a spin, yoga, barre or boot camp class, cooking with the wonderful local food from our CSA or farmer’s market, or playing with our 4-month-old English springer spaniel, Lula Belle. I also love walking around downtown Lawrence in Duke gear, just to get a rise out of all the KU Jayhawks. Q: What’s on the horizon for you? A: Right now, the focus is finishing up my master’s, but I plan to continue doing development work in a higher education setting … maybe down the road, that work will bring me a little closer to Durham!